Until Maya was three, we had a couple of different conventional strollers to transport her. We used them until it was undeniably clear that they didn’t fit her and there were no more conventional alternatives. At that point, we reluctantly began our exploration of wheelchairs. Entering the world of adaptive equipment felt daunting and I was a bit resistant to the idea of her getting a wheelchair because I wasn’t ready to fully accept that she had a disability. I didn’t know how the equipment selection process was supposed to work, what was important for me to look for, and who would guide us through it. We began by speaking with our physical therapist and telling her that we wanted something easy to travel with that was lightweight and collapsible. We also wanted a chair that kept Maya as upright as possible and able to freely interact with her environment. Basically, we wanted a larger version of her conventional stroller. There aren’t many options available that fit those two criteria but we did manage to find one. However, over time, it became increasingly clear that we had made the wrong choice because the chair did not provide the appropriate positioning support Maya needed. It became a nuisance rather than a source of relief for all of us. Maya wasn’t comfortable, and for two years we continued to prop her up and add belts that never fit her correctly. 1. We didn’t try an appropriate demo out before we purchased it. The one she tried was a similar model but very old and parts of it were broken, making it difficult to adjust and determine if it was the right fit for her. 2. The physical therapist (PT) that was most familiar with Maya’s movement patterns left her school before our first equipment purchase meeting. A physical therapist’s input is critical in guiding the vendor so that he/she can further consider how the child needs to be supported and which equipment and accessories best accomplish those positioning goals. 3. Maya attended a therapeutic pre-school so the therapists typically carried her to the therapy rooms or would have her crawl. We didn’t have the benefit of having them regularly see her in her stroller or, later, in her new wheelchair. This combined with my husband and I not typically being present during therapy sessions (since the sessions were during school hours), meant that our ongoing communication about equipment was intermittent and piece meal at best. -I expressed concerns that Maya would outgrow her chair too quickly-I understand now that equipment should be sized as closely as possible to the child’s CURRENT measurements. -Our occupational therapist saw that Maya’s arms were getting caught in the sides of the smaller chair we tried (although I believe this ultimately was due to the position of her pelvis). -And finally I don’t think the vendor realized that by upsizing there would be a couple of inches of room in the back of her seat that would lead to a very poor fit. Everyone makes mistakes and equipment fitting is complicated. However, I do believe the vendor and therapists at least should have quickly identified how terribly the chair fit when it was delivered. The vendor said he could send the chair back to the manufacturer but thought we should try a number of belts and harnesses instead. I trusted his judgment but the accessories he presented never worked. I think because we had three different PTs who worked with Maya during this ordering process and thereafter, no one assumed responsibility for addressing the issues with her chair, and I didn’t know enough about equipment fitting to realize that it could be so much better. We were so grateful to have a chair after waiting for six months that we overlooked many of the positioning issues. 5. We received little input from our vendor during the buying process. It felt more like he was an order taker rather than a consultative guide. Despite being well intended, the concerns that were brought forward when the chair was delivered ultimately were never corrected effectively. About a year after we had the chair I saw the vendor in the hallway at Maya’s school and expressed my ongoing frustration with her positioning needs. He looked at her in the chair and said, “Was it always this big for her?”. Wow! 1. Where will your child be using his/her chair and in what circumstances? Example: Do you wish to have an all-terrain chair? Is that possible? Will there be trade-offs to choosing this type of chair? The more terrain a chair can navigate, the more your child will be able to participate in different types of activities i.e. trails, beach, mulched playgrounds etc. 2. Will it fit in your car? How heavy is the chair and are you able to lift it? Are there lighter alternatives that may work equally as well? 3. What accessories are offered or not offered that you may need? Different chairs offer or are compatible with different accessories. Ask about what is available. Example: We consider a wheelchair tray to be a must have item when we are on the go. 4. Does your child need bus tie downs now or potentially in the future? This is an important consideration when you order a chair because manufacturers must install them and after a year many of them will not. Even if they would agree to this, it would require sending the chair to the manufacturer. 5. Does the chair maximize your child’s current capabilities? Example: Is your child capable of using a manual chair or if not, perhaps a power chair? This can be a tricky question. Our PT asked during our 2nd wheelchair selection if we wanted Maya to have a power chair. In our case I felt that if Maya had a power chair first she would always resist using a manual chair because she would be accustomed to the ease of using the power chair. We didn’t want her to continuously struggle with a manual chair, but we also wanted to make sure we weren’t skipping over an opportunity to help her grow and apply new developmental skills. It’s not always clear how a child will handle a new piece of equipment until he/she tries it. In our case several therapists were unsure how Maya would handle a manual chair. However, once she tried one that fit her appropriately, she demonstrated a passion and drive to move that I have rarely seen in her. If after you consult with the professionals working with your child you still feel confused or conflicted about which direction to take, ask your physical therapist about borrowing an appropriately fitted manual chair for several days. 6. Before purchasing any equipment take your time, try out several options for comparison, and take home a demo if possible! Maya’s positioning needs change throughout the day and depend upon her energy level. The vendor may not be seeing the full picture of what type of support your child needs. We have found that a combination of doing our own internet and catalog research, along with having Maya try out several different pieces of equipment (ask vendors, therapists, fellow parents), has been essential in determining what will work and will not work for us. If you can try out a piece of equipment, you can see how it works for your child at different times of the day and in different settings. 7. 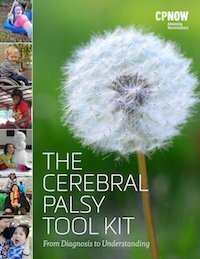 Talk to other parents, caregivers, and wheelchair users for their input. Talking to other people who have experience with choosing and using wheelchairs can offer you insight about what to look for that you may not have thought about. Sometimes, I see parents on online forums asking which wheelchair they should buy for their child without any other qualifying points. This may be a helpful question if your child has the same positioning needs as another, but with a diagnosis like CP, the support needs can vary widely among individuals. Also, the child’s capabilities may vary (push wheelchair, power chair, manual chair) along with the family’s lifestyle. Speaking with other people can help you figure out how to think about narrowing down your purchase, and perhaps give you insight about which brands may be more user friendly, just make sure you ask questions that are applicable to your child’s situation and needs. If you have narrowed down your choices to a few chairs, it may be very helpful at that point to consult with other parents who have these chairs and ask them how they like them, what they think works well, and what they wish was different about the chair. 8. Schedule meetings together with your therapist/s during the selection process. Everyone’s input is critical and by having the family, vendor and therapists in the same room working together, collectively you can identify and troubleshoot potential problems that individually each of you may not have considered. Find a vendor that sees that value in working collaboratively with your PT and vice versa. They need each other’s input! You and your therapist will know your child’s movement patterns and can educate your vendor about them. Your vendor should know at least several lines of equipment and which styles may work best for your child’s unique positioning needs. Equipment is expensive so if you have a choice of vendors choose someone who offers a supportive, consultative, and patient attitude during this process. 9. Schedule a meeting for everyone to come together (again) when the vendor delivers your child’s chair. Equipment fitting is a process that doesn’t end once a chair is delivered. There are often necessary tweaks, additional accessories, or changes need to be made after the chair arrives, and in the first few weeks of initial use. 10. Don’t assume that you have to use the first vendor that your therapist suggests. Ask them what they like about the vendor etc. but, if you meet with someone and you don’t feel comfortable with him/her ask your therapist and/or some special needs parents in your community for another recommendation. This is why it is important to have a compatible and open relationship with your therapists. If someone your child’s therapist is involved with isn’t working for your family, you should be able to bring it to their attention without a lot of friction. 11. 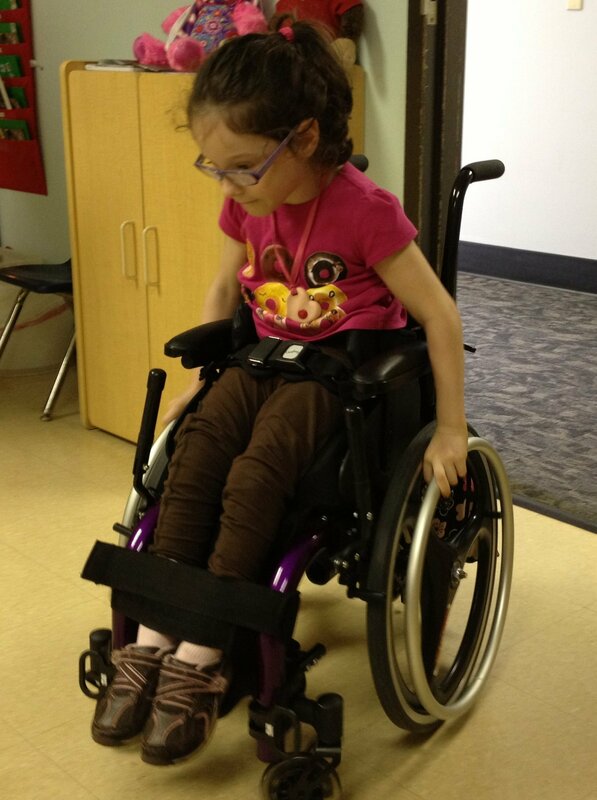 Choose a wheelchair that offers the maximum flexibility while still meeting your child’s needs. Example: Can the chair grow with your child? Some wheelchairs offer opportunities to use the same frame and update the parts of the equipment as the child grows. Find out how soon insurance will cover a new wheelchair and for what reasons? Equipment is expensive, and the more specialized the equipment, the more money you may spend. 12. Vendors often represent specific manufacturers. Many people don’t realize that equipment companies have preferred or exclusive relationships with certain manufacturers. This is good information to have up front because it will likely be guiding the presentation of information you receive. I asked our current vendor directly if they were restricted in what lines of products they would sell to me (They aren’t). They may still have a preference, but at least I knew that if I found out about a chair from a friend that I wanted to have Maya try, I wouldn’t have to worry about them not being able to sell it to me. A large part of your vendor’s job is to help you hone in on a chair that meets your child’s needs and your needs as closely as possible (and there may be several). Just remember that the few suggestions they offer will not be from them considering all wheelchairs on the market that would be suitable for your child, but those that they know well, have worked well for other clients with similar needs, and perhaps are from manufacturers with whom they have good working relationships. 13. Find out what a vendor’s policy is for addressing equipment adjustments or problems. From time to time equipment may need adjustments or repairs that your therapists cannot address. Find out up front if a vendor is available and willing to address problems that may arise with your child’s wheelchair. 14. Allow your child to participate in the selection process whenever possible. Allow them to ask questions and offer their opinion (where you feel it is appropriate). I had a therapist tell me equipment, particularly wheelchairs, are very personal items and can be considered an extension of someone’s body. 15. Review what has been discussed together, and take a few moments to think about whether anything has been forgotten before placing your order. During this discussion ask your vendor and therapist to offer their insight about your child’s wheelchair compatibility with the your/caregiver’s needs and your family’s lifestyle. Those points of view are not always foremost in their minds, but when directly asked to consider them your therapist and vendor may come up with some important ideas for you to think about before making your final decision. Successful equipment selection only occurs through a collaborative PROCESS. Do not rush to find just any piece of equipment for your child. Try out different pieces of equipment and borrow a demo chair for several days to learn about it more intimately. There may be quirks about it that you don’t notice from a few minutes of use. They may be quirks you could live with, but what if they aren’t? Vendors aren’t perfect, and individual positioning needs are different. Now that we have experienced two vendors I see how critical their input and knowledge can be in making an appropriate equipment selection and working through the challenges associated with finding the ideal positioning for an individual. It’s not only about finding and purchasing the right wheelchair for your child’s needs, but also about the art and science of finding the right positioning accessories (from perhaps multiple manufacturers), to complete the fit. The broader their access and education about what is available on the market, the more elaborate the toolbox they have to address unique situations. Visit the CP Daily Living equipment section for more information and links to equipment resources, loan closets, and a couple of equipment review sites. Previous postThe Magic Behind Peer Support Next postThrow the Timeline Away! At three years old there is usually a transition to a different school setting. Sometimes there is a rush to get a chair so that there will be equipment in place to arrive at the new placement ready to go. I strongly suggest waiting or involving the new teacher/therapists in the process. They will have a better idea of the possible future needs and development that you have no clue about because you have not been there. I hope at that age, if you are looking at equipment you will be thinking about self mobility options as a priority. That’s going to shape the child’s whole perception of their self. It is very disempowering to sit back and be the one that depends on someone else for every change in position. A stroller does not position for action but for rest. Children at 3 years old should be bursting into the world not sitting back watching it go by. Uhoh. You pushed one of my buttons. Sorry to rant. These are excellent points Andrea. Although we were not facing a transition many children are at that point and I had not considered that possibility. I wish Maya had the capability earlier to use a manual chair but it simply wasn’t a possibility for her, so I can’t say that that was a mistake looking back. What I do hear quite often is that chairs intended for transporting children at school are often being used for them to sit in all day unless the IEP states otherwise. So true about sitting in the chair all day. Even if the original intention is just for transportation it is very difficult to change the pattern that is there for most children. This is one of the advantages of a second piece of equipment at school – which is one reason I promote the Kidwalk. The default is usually a stander. Horrors. It could also be a more apropriate chair for the school setting that allows more participation in circle, etc. Part of the agenda would be the transfer and variety that would come from more than one piece of equipment. The optimal would be the floor!! What I look for is the POSSIBILITY that pushing the wheels might develop. If you don’t have them there where the child can reach them it is never an option. If they are there it may develop, or might not. If it is cognitively possible I am totally in favor of an power wheelchair. All of these recommendations are compromises to gaining the real skills for moving oneself in space. Choosing to use them comes with the possibility of atypical or disfunction patterns of movement being learned. It would always be best not to put a child in a position they can not reach themselves, but compromises need to be made if a child is missing the opportunity to learn and engage in their environment because skills are not there yet. It’s just such a big responsibility for parents to make these choices and I want everyone to know all sides of the issues so they can make their decision for their child. A very interesting and thoughtful article CP Daily Living. You are all very fortunate to have so much support and access on the mainland. We to had problems with our first chair and now our second one as well. A traveling therapist I met over the summer said that living on an Island in Hawaii is similar to living in Alaska. She saw my frustration due to no vendors in Hawaii, one medical equipment company servicing Maui county and they won’t even go to the Island of Molokai which is part of Maui county. So what happens is that families like us rely on the internet to trouble shoot. My eldest daughter is better equipped than our local medical supply company, in trouble shooting with the wheel chair. Our issues are; 1. our daughter is petite and long, and needs the chair to fit her not some one size fits all between ages a-z or weights and length dimensions. 2. She needs a chair that is well padded to prevent cuts and skin brake down. 3. A competent technician that could help with putting the pieces( head rest,foot rest…) together for a custom fit. 4. Something that is light weight, since we carry the chair up to the third floor. Our building was built in the 1972 before codes made access for the disabled law. We have found that Jewel was expected to stay in her first chair for seven years, regardless of her growth and the chair was falling apart and she was to long for it. Thanks for this article. We are going to be starting this process soon and I didn’t know where to start. Our son could possibly walk one day, but in the meantime it is getting more difficult to carry him everywhere, and I can see him outgrowing his stroller soon. Thank you for stopping by Crystal. We felt so lost when we realized our daughter had outgrown her stroller. I hope this information helps make it a little easier for you and your family. Yes, Ivana we are fortunate to have not just access to vendors, but also a choice. It must be very difficult and frustrating for you all not to have someone you can rely on for equipment support. I am wondering if there is a vendor that would be willing to troubleshoot problems via Skype? It may be worth considering or looking into. Thank you for sharing your experience and challenges. Perhaps someone will see your comment and wish to do something about it! Yes, I am definitely in favor of having multiple pieces of equipment available for use at school. I am sure transitioning multiple children to different pieces of equipment throughout the day is a challenge, but I think it is imperative to encouraging their development physically, intellectually, socially, etc. I also think you bring up a very important point here. I never considered that giving someone the option to push the wheels (even if they aren’t there yet) might encourage/inspire that skill. Outstanding! I couldn’t agree more!